Question: Unable to connect Database Server during HC Primary or Subsequent Installation ? Reason # 1: If SQL instance name is incorrect. For example you have specified <machine_name>\SQLEXPRESS as your SQL Server instance then you would require to use the same as Server Name during HC installation. Open SQL Server Configuration Manager and enable TCP/IP and Named Pipes. If firewall is installed on Database Server machine then allow following ports in Firewall Incoming/Outgoing rules. 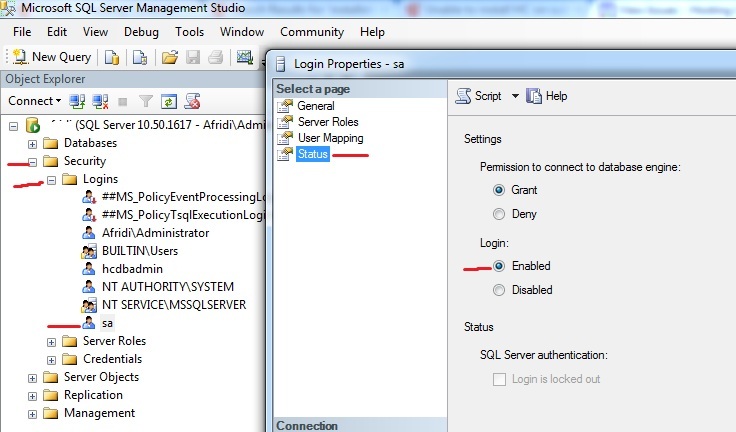 Check if you can connect to SQL Database Server from remote machine using ODBC. If yes, then HC Installer must connect too.